Exclusively Ours! 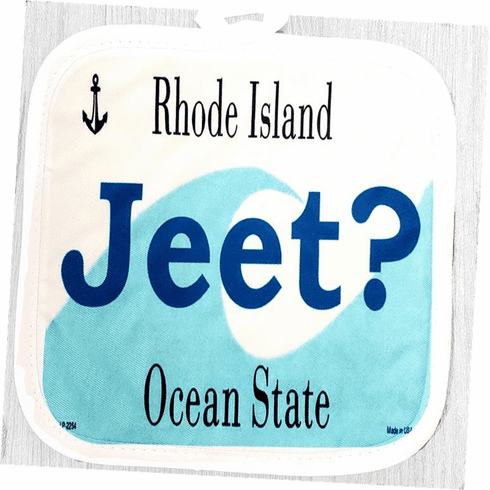 This awesome potholder is the perfect Rhode Island way to ask, "Did ya eat?". Measuring 8x8 inches, both sides are quilted. Back is silver quilted heat resistant, with loop. Layered quilted polyester that protects very well against heat. These are safe for use or can be used just for decoration. No Rhode Islander's kitchen is complete without it!